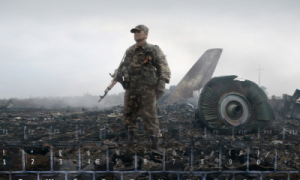 Bellingcat: Truth in a Post-Truth World explores the promise of open source investigation, taking viewers inside the exclusive world of the “citizen investigative journalist” collective known as Bellingcat. Q&A with Christiaan Triebert, investigative journalist for Bellingcat. Tickets prices: students € 5, others € 9,80. While the major news organisations are still checking the facts using their own established sources, clever internet users are discovering that there are also smarter and more accurate ways to do it yourself. This documentary follows an international team of citizen investigative journalists who are using their knowledge of social media, reconstruction techniques and audio analysis to conduct in-depth research, for instance on Syrian war crimes. This programme is in cooperation with Lumière Cinema. After the screening there will be a Q&A with Christiaan Triebert via Skype. Triebert is an investigative journalist and works for the open source investigation collective Bellingcat, where he conducts research by using open sources such as images from social media, webcams and Google Maps.